I live in Saint Paul Minnesota and I usually buy and read the Pioneer Press. Well, Saturday morning, February 16, was no exception. The front page article was entitled, Trump declares emergency for wall. I read about half of the article and could read no more! I’m sorry, but the writers of this newspaper are so bios! I mean, it’s obviously bios and that makes it “fake news.” I thought newspaper writers were supposed to just report the news, not give their opinions. I am so sick of it! You can’t enjoy reading a newspaper anymore! You have to be always on your guard against deception! The illegitimate dictator of socialist Venezuela is starving the people. And he is refusing humanitarian aid from the U.S. and Canada. The Venezuelan military is now barricading a key bridge from Colombia that would allow millions of $ of food and medical shipments to aid the people. But Maduro will not allow it in. Why? Because he is too proud! Saying, Venezuela isn’t a nation of beggars. Clearly he has no regard for the welfare of his people, who are starving and going without badly needed medical aid. Please pray for the people of Venezuela. Pray also that the military will come to the senses and come to the side of Guaido, who if the legitimate leader. Pray for the United States and the 40 countries who back Guaido—that God would give us wisdom to know what to do, How to take down Maduro and restore Guaido to full power. Pray that many countries of the world will see this socialist government for what it is and to resolve never to have a socialist government. WE WILL NEVER BE A SOCIALIST COUNTRY!!!!! Globalism may look wonderful and sparkly, but it’s all a deception. Globalism is a socialist government system where the entire world is governed and controlled by one government system and by one person. I suppose some people are attracted to it because they feel that they will get a better deal on health care and that that they will be basically cared for—free of charge. Well take a look at the latest socialist experiment, Venezuela. That our government would quickly come up with the money to build the boarder wall. To get more people to process all those who are applying for asylum, in order to speed up the process. If people are asking for asylum we should be able to quickly process them and give it to all those who qualify. But many will not qualify. To find a way to educate those who are seeking to come and work in our country legally. To show them how to enter legally. For strength, health and wisdom as he is doing the important work of the county. Pray also that he will have extra patience and resilience to face all the verbal attacks and unjust investigations against him. Strength and endurance to continue the fight against those who are resisting our government. To fight for truth and justice in all areas of government. That all people who are seeking to do harm to this administration would be weeded out and fired. To quickly find replacements for those fired. It is a witch hunt and unjust. Also, any others who are planning more investigations against Trump; that they would be frustrated in their attempts and all such attempts would be abandoned. For our temporary AG, that his work would be effective for as long as he is in office. Pray that we would find a good new AG that will serve our country well and carry out his duties with courage and righteousness. Everyone must submit himself to the governing authorities, for there is no authority except that which God has established. The authorities that exist have been established by God. 2 Consequently, he who rebels against the authority is rebelling against what God has instituted, and those who do so will bring judgment on themselves. George Washington’s Proclamation Of Thanksgiving Day—To Be A Day Of Thanksgiving And Prayer To God. Many may be surprised to find in this proclamation by Washington such praiseful and exalted words toward God. Also, he actually declared that it was the duty of all nations to acknowledge the providence of Almighty God and to obey Him and be grateful to Him. And how many of you know that this day was declared not only to be a day of thanksgiving to God but to be a day of prayer to God. Most surprisingly, both Houses of Congress requested Washington to make this proclamation. Oh how we have changed! I want to invite you to read and think about this proclamation. Our country most certainly began as a Christian nation. And we must continue in that direction. I feel sorry for all the people coming in the caravan to the United States. Many seek a better life in what they think is the “Promised Land.” They are walking over a thousand miles in dangerous territory. Many women are being abused and even raped on the way. Some are saying that terrorists are among the group. What can be done with them? Well, it’s a hard thing to say, but they must come in legally like everyone else. They must go through a legal process. Like President Trump has said many times, we welcome immigrants to come and live and work in the U. S., but they must come in legally. It is unfair to all those who are presently going through the process of legal immigration for us to allow people to come in through the back door—illegally. All must come in legally through the legal process. Through the internet one can get all the information necessary to enter the U. S. by just looking up How to Enter the U.S. In this blog I want to simplify all the information and give it to you in just seven points. Of course, if you are serious about coming and living in the United States you will want to actually go to the government website I mentioned above for more details. Step 1. Go to the U. S. embassy in your country to apply for an Immigrant Visa. Please be aware that there are all kinds of Visa’s. If you want to come and live in the U. S. permanently you must apply for an Immigrant Visa. This is a very important first step. Once you find and enter the U. S. embassy I’m sure there will be people there to help you: to answer many of your questions and to help you through the application process. Get a U. S. citizen to sponsor you. This sponsor must either be a citizen relative, a U. S. lawful permanent resident, or a prospective employer. That sponsor must file a petition with the U. S. Citizen and Immigration Services (USCIS). It is best for the sponsor to file the petition in the U.S. When your immigrant petition is approved by the USCIS it will be sent to the National Visa Center (NVC) for processing. You will soon receive a letter or email from the NVC telling you that they have received your approved petition and that you must now begin the National Visa Processing. Step 4. Prepare for Interview. All applicants will be given information and instructions for the interview. If you have not read the information and do not bring the required documents your case will be delayed or denied. After NVC schedules your visa interview appointment, they will send you, your petitioner, and your agent/attorney (if applicable) an email or letter noting the appointment date and time. After you receive an interview appointment letter from NVC, you must take the following steps BEFORE the interview date (Click on links for more detailed information). Step 5. Interview. On the scheduled date and time of your interview appointment, go to the U.S. Embassy or Consulate. A consular officer will interview you (and accompanying family member beneficiaries) and determine whether or not you can receive an immigrant visa. As part of the interview process, ink-free, digital fingerprint scans will be taken. You, your spouse, and any qualified unmarried children immigrating with you, must participate in the interview. All applicants required to participate will be named on the interview appointment letter you receive from the NVC. If your spouse and/or qualified unmarried children will immigrate at a later date and travel separately from you, they are not required to participate in your interview. They will be scheduled for a separate interview appointment. You should contact the U.S. Embassy or Consulate directly to arrange separate interviews, if needed. Your sponsor/petitioner does not attend the visa interview. Step 6. Visa approval or denial. At the end of your interview the consular officer will inform you whether your Visa application is approved or denied. Step 7. Instructions if approved. When you are approved for your Immigrant Visa you will be given all kinds of instructions regarding your passport, when you should travel, Immigrant fees, vaccination records, X-rays, entering the United States, U. S. laws, and your Social Security number. The Viacrucis del Migrante (Way of the Cross), also known as the Central American migrant caravan, are annual migrant caravans of Central Americans organized by Pueblo Sin Fronteras (People without Borders). Viacruciscaravans have usually been organized since 2010 by the migrants themselves, who set off during Holy Week. Are caravan people being paid by Democrats to come to America? New York Times says No. No evidence. But I wonder. When did these yearly caravans start? These caravans have been coming every year from Central America since 2010. Obama did nothing about it. And they are getting bigger every year. Why do they come? What do they expect? Jobs. Better life. To escape poverty. Do they know that if they are able to get past our boarder that they will be entering in illegally? I think they must know that, but since many have gotten by in the past, they disregard our laws. Why do some people want them to come despite the fact that they will be coming illegally? The Democrats want their votes, that simple. Besides it being illegal, what is the problem with their coming? (1) Many are criminal; (2) many are bringing drugs; (3) too many are coming in and overwhelming our system—too many to process; (4) many of them do not regard or respect our laws; some even come carrying their own countries flags. Pray for the safety of the people coming in caravans. It is a long hard journey. Pray for the good sense of the people; that many would choose to go back to their own county, choosing rather to come in legally—and show them how to do it. Pray for the wisdom of our government and President Trump. Pray for the funds needed to build the southern boarder wall. Pray for Mexico to cooperate with our government and to stop the flow of caravans, because they are illegal! Some people say that President Donald J. Trump has more accomplishments in his first two years in office than any other President in history. We can certainly be proud of our President. But at the same time we all need to give glory to God for all of the President’s good works. For at such a time as this, God has gifted and called Donald J. Trump to serve Him in this office. Let all people see that he is in the service of God for His purpose and glory. My first few reading sessions of the book were quite enjoyable. I mean, it read like a fictitious novel, where all kinds of corruption and mystery is taking place. I had to remind myself constantly that all this crime actually happened—and is still happening. I was especially appalled by Hillary Clinton’s blatant disregard for the law. About midway through the book, though, I started getting bored with it. I was tired of hearing, over and over again, about so much corruption. So much talk of corruption can get you down. I suppose it would be different if I was hearing it for the first time; but I have been keeping up with the news every day, so it is all review to me. 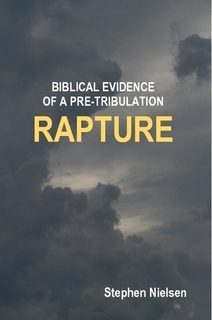 Nevertheless, it is good to have this book as written evidence of what has actually happened. And it is all thoroughly documented. This book would be best for liberal Democrats to read—if they ever believed what they were reading. Most would probably reject it. Twenty years from now some may read this book and think it is all fiction; that those things written here could never happen. This book makes the saying, “the truth is stranger than fiction” believable. There was never any plausible evidence that Trump or his campaign collaborated with Russia to win the presidency. The FBI had no legal basis to initiate its investigation. Facts were invented or exaggerated. Laws were perverted or ignored. The law enforcers became law breakers. Comey’s scheme to trigger the appointment of his friend as special counsel was a devious maneuver by an unscrupulous man. His insinuation that the president obstructed justice was another canard designed to inflame the liberal media. Sure enough, they became witting accessories. When power forces in government abuse their positions of trust to subvert the legal process, and when the media acts in concert to condone or conceal corrupt behavior, democracy is threatened. Reverence to the rule of law is lost.